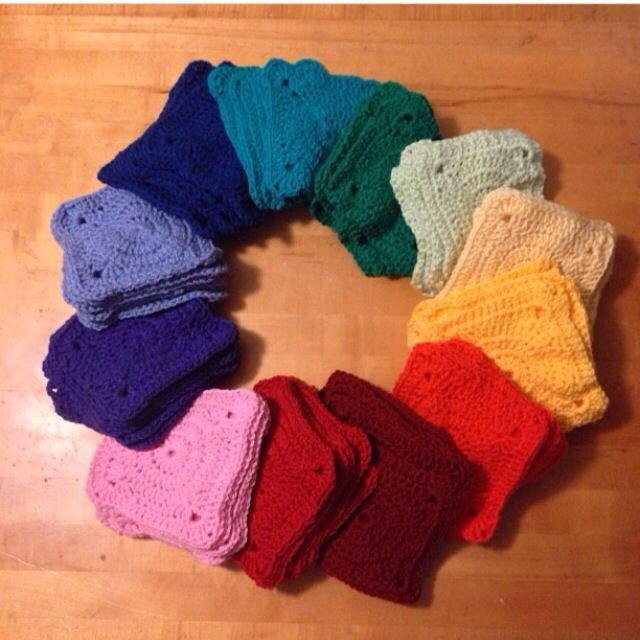 As we close up this Crochet-Along, feel free to poke around the site and get inspired! Check out our little Gallery, and peruse the links in the sidebar for ideas to use those yarn remnants for some pretty makes. My favorite projects are those that have the most different colors mixed up together, as they always have the most soul. May your scrappy blankets always be bright! Mary and I are looking for our next scrappyblanket.com adventure, so stay tuned! Mary got a great mention by Shelley of Spincushions fame for her Tight Join! 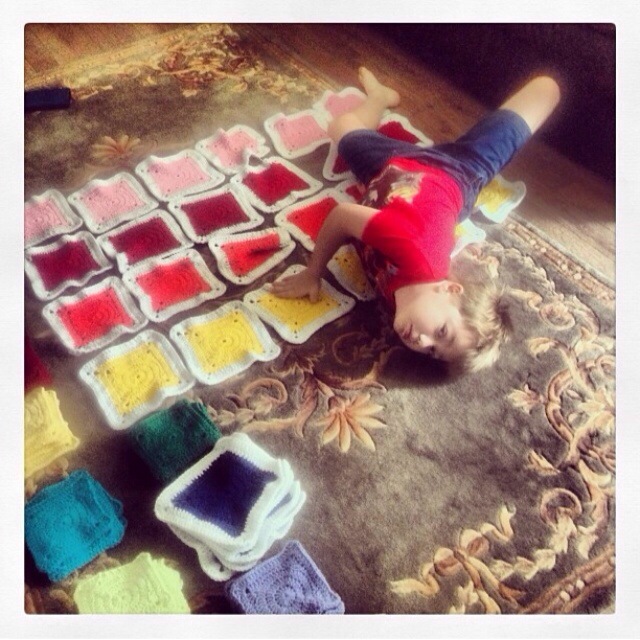 Check out the article on Joining Granny Squares over on the Spincushions site. Pretty Scrappy Blankets All Around! 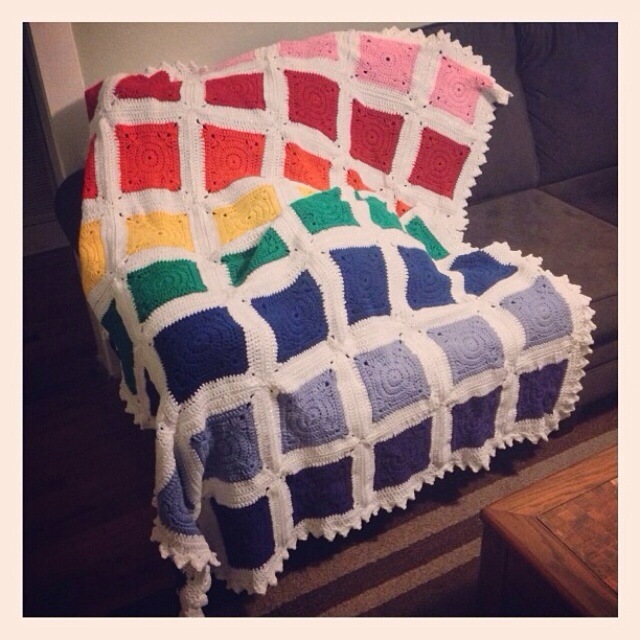 Since our Bear’s Rainbow Blanket CAL is coming to a close, I thought I’d peruse the crochet tag on Instagram, scouting out scrappy blankets. Lookie what I found! Last but not least: this crisp and clean dreamy blanket. I’ve always loved the Flowers in the Snow design and it looks so great with some scrappy yarn. The white background makes anything look great! I can’t even decide what to make next!